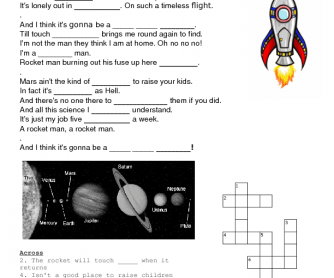 I used this worksheet with my elementary school intermediate students. The first part is a lyrics gap-fill, where you can use a lyrics video from Youtube and ensure all students have the correct lyrics. 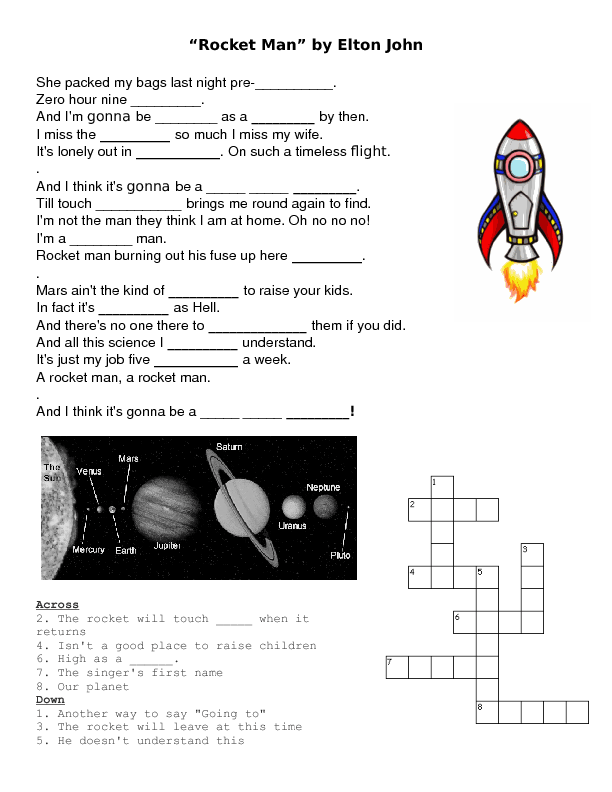 The second part is a small cross word puzzle based on the vocabulary from the song. Then I used a postcard template and had students design postcards from space, pretending that they are astronauts. The postcard writing could have a particular language focus if needed.